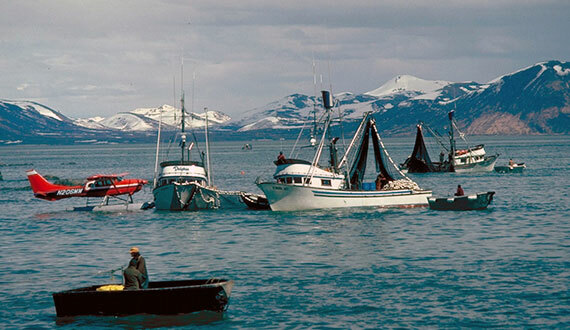 Take-a-look at the commercial fishing methods most commonly used in the Ketchikan area. Of particular interest are our video renderings of some local legends doing what they love. Climb aboard with Russell Cockrum while he and his crew purse seine for salmon. Gillnet with Ole and LaDonnaGundersen aboard their vessel the LaDonna Rose. See hand trolling as it was accomplished years ago with Sean Hovik, as well as the more modern method of power trolling with Rory and Marion Bifoss. You even get a taste of solo longlining with Mike Jewett as he tells of his lifelong obsession with halibut fishing in the Southeast. View More.